← The Justice and Legality of bin Laden’s Assassination: Is What is Legal Necessarily Just? 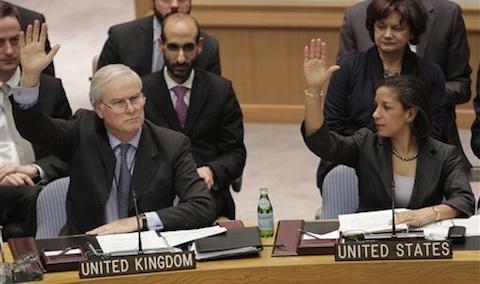 What are the costs of the UN Security Council referring situations to the ICC? What are the implications of the UN Security Council referring situations to the International Criminal Court? Judging by most accounts of UN Security Council referrals of the situations in both Darfur and recently Libya to the ICC, referrals are a cause for celebration. This post suggests that contrary to this view of referrals as fundamentally good, they may be the best option but one with high costs for international criminal justice. Previous posts have considered some of the problems of referrals including the inclusion of certain provisions – the immunity of individuals from non-member states, the limits set by the Security Council on the temporal jurisdiction, the possible “outsourcing” of peace by the Security Council to the ICC, etc. But what about the costs of referrals on the quality and legitimacy of international criminal justice? It bears remembering that, during the Rome negotiations to establish the ICC in 1998, the most fervent state and civil society advocates in favour of creating the Court sought to ensure that the ICC would be independent from the power-politics of the UN Security Council. A compromise was reached which gave the Court’s Prosecutor three avenues of initiating an investigation: by state referral, proprio motu (through the Prosecutor’s own volition) and by UN Security Council referral. For some, this was no doubt a costly compromise. The most keen states and human rights organizations argued that a separation of politics and justice was necessary if pursuing justice was to be legitimate and that tethering the justice of the Court to the politics of the Council would politicize the ICC. 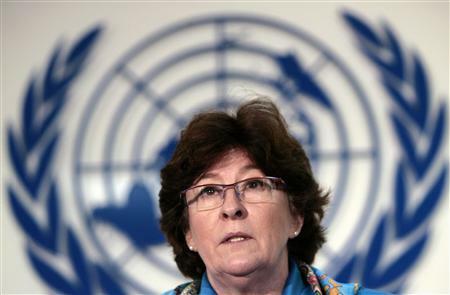 Arbour later added that, in the context of the Security Council’s referral of the situation in Libya, she wasn’t convinced that it was the best thing for justice. More dramatically, Prof. Benjamin Schiff recently described the referral as the Court’s “second poisoned chalice”, following the Darfur referral. The gist of what Coughlan, Arbour, Schiff, and the human rights community are saying is sensible: for international criminal justice to be credible and legitimate, it requires a separation from politics. Even for those of us who doubt that justice can ever be separated from politics, it stands that justice is most legitimate if pursued independently from the power-politics of an institution like the UN Security Council. At the same time, however, the ICC is a treaty-based Court. The ICC only has jurisdiction over those states which sign and ratify the Rome Statute. In practice, this means that the ICC can only independently open investigations into situations in those states which have agreed to open their territory to the jurisdiction of the Court. Where this is not the case, the ICC requires the UN Security Council to refer the situation, as has been the case with Darfur and Libya. 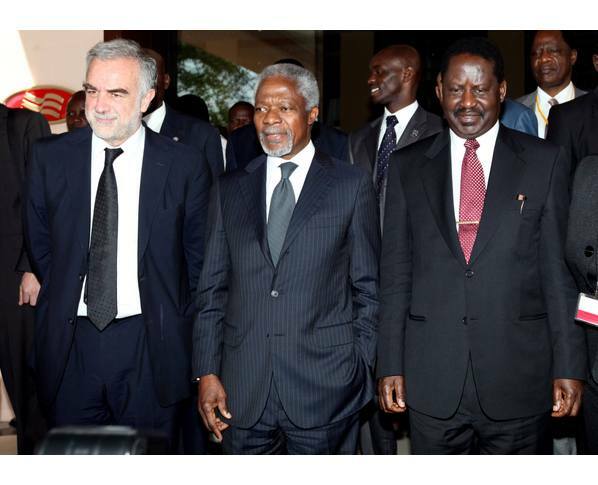 ICC Prosecutor Luis Moreno-Ocampo with former UN Secretary General Kofi Annan. Some have expressed fears over the relationship between the Security Council and the Court and its effects on the legitimacy of international criminal justice. The same individuals and groups who bemoan the relationship of politics and justice celebrate such referrals. The reason is that it opens up the space for the Court to intervene where it otherwise could not. Together, this seems to illustrate a paradox: On the one hand, a closer relationship between the power-politics of the UN Security Council and the ICC diminishes the quality and legitimacy of justice; On the other hand, without cooperation between the UN Security Council and the ICC, or in other words, without pursuing justice through power-politics, some of the worst international crimes would never be tried. So, to leave with two questions rather than a conclusion: is the ICC destined to exist between the fault lines of international criminal justice and UN power-politics? If not, what can be done to separate the politics and justice of the Court? This entry was posted in International Criminal Court (ICC), Libya, Libya and the ICC, Sudan, Transitional Justice, UN Security Council. Bookmark the permalink. Nice piece – but it strikes me that its important to acknowledge (and uncover/search for) the unarticulated politics of the ICC itself, most importantly why the the court and its supporters seem keen to take on cases like Darfur and Libya. A Canadian court is not particularly worried about its inability to pursue terrible crimes that go un-prosecuted in the US, for example, yet the ICC is seen by its own supporters (in many cases) to be incomplete when the crimes of non-member states escape its jurisdiction/powers. If a Canadian court were to act as if crimes in the US were its concern, that the court was somehow inadequate without an ability to prosecute terrible crimes committed elsewhere but left un-prosecuted, we would clearly see that as political move – an attempt to expand the influence of the court beyond its established borders against the will of another authority, even if we thought there were good moral reasons for it. Yet, we rarely appreciate that this political orientation – towards an expansion of international authorities with jurisdiction over all international crimes – is quite radical and clearly political, whether one agrees with it or not. This cosmopolitan politics is written into the DNA of the ICC. I think this is important because while the ICC’s pursuit of criminal justice (understood primarily as a fair trial) is in tension with the political manoeuvrings of the UNSC, it is also in tension with its own internal mission – which is a messianic attempt to redeem international politics through law. I’d have to think more deeply about this, but I suspect that the politics of the ICC, as much as the politics of the UNSC, actually put the court in the awkward position you identify – there’s a desire to take on cases from the UNSC that expand the reach of the court, but at the same time the UNSC is using the ICC for its own political ends – and this matters because it is not at all clear to me who is more responsible for sacrificing criminal justice to politics in this instance. Once again a really thought-provoking comment – Thanks Joe. This “unarticulated politics” forms the deep grammar of the Court and I agree that it is cosmopolitan. My own view is that it the ICC forms something of an end for the 20th century’s liberal cosmopolitan project. I think you’re on to something when you say “the politics of the ICC, as much as the politics of the UNSC, actually put the court in the awkward position.” It’s also the particular cosmopolitan politics of the most fervent of ICC supporters and associated human rights groups – Save Darfur being the paradigmatic example. One of the most amazing shifts, in my view at least, between 1998 and now is that a close relationship with the UNSC today is celebrated when it would have previously been seen as the bane of the Court’s existence. In the end, I can only agree with you – there is a need to explore who is responsible for “sacrificing” international criminal justice to politics. Great point about the shift between 1998 and 2011 – I actually reckon there’s a good conference paper/article in that for you – a good time period to examine, lots of empirical material and the ability to raise questions about the success and future of the court.